Melamine ELISA Kit | AccuAffinity, Inc.
AccuEZTM Melamine Fast Detection ELISA Kit for Dairy Products (Catalog # AAF-21101) provides a fast, accurate and simple approach to directly determine melamine concentration in any dairy products. This Melamine ELISA kit provides a high quality solution for melamine measurement in dairy product. Simple operational procedure (one sample addition and one plate wash step only) for user of Melamine ELISA Kit. 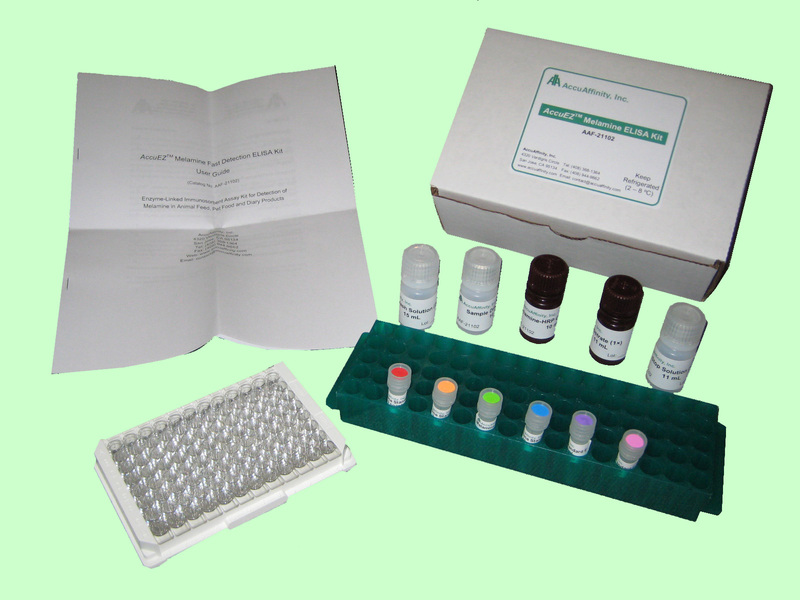 AccuEZTM Melamine Fast Detection ELISA Kit for Animal Feed and Dairy Products (Catalog # AAF-21102) is a universal ELISA kit for accurate melamine detection in animal feed and dairy products. 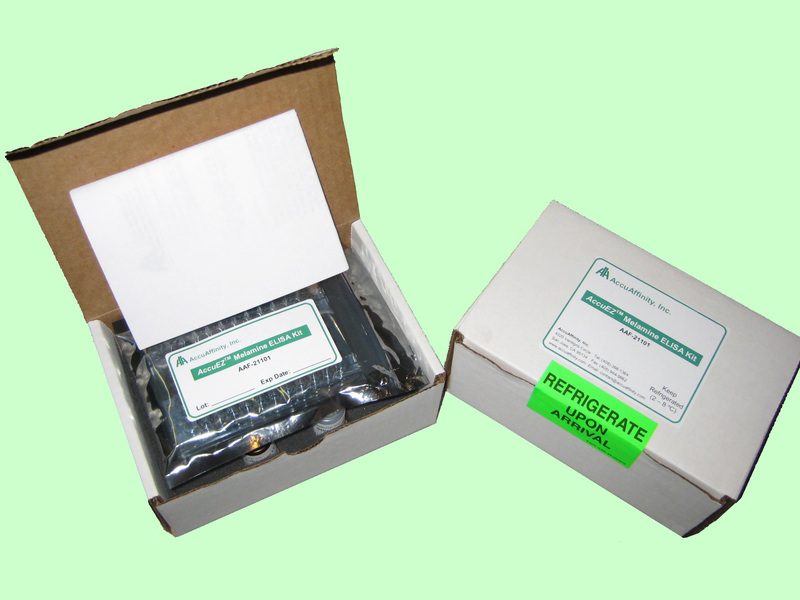 This Melamine ELISA kit provides a high quality solution for melamine measurement.